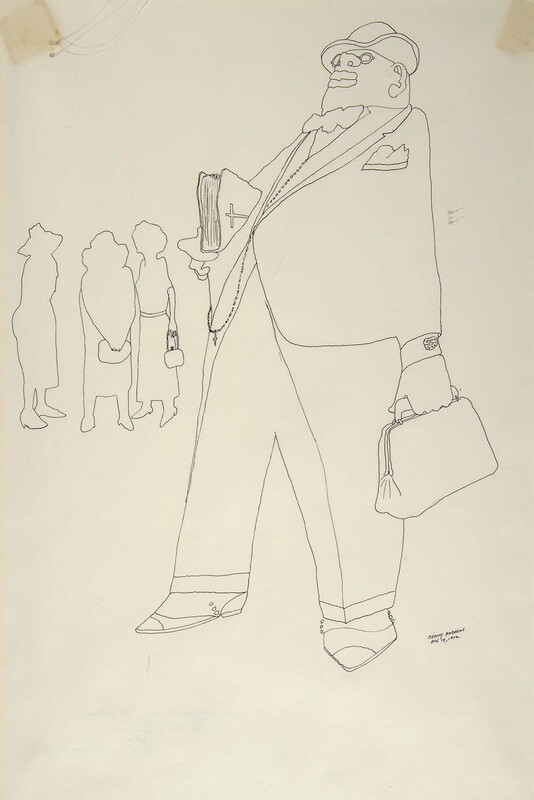 The exhibition THE HARMON AND HARRIET KELLEY COLLECTION OF AFRICAN AMERICAN ART: WORKS ON PAPER is being made available as a traveling exhibition. 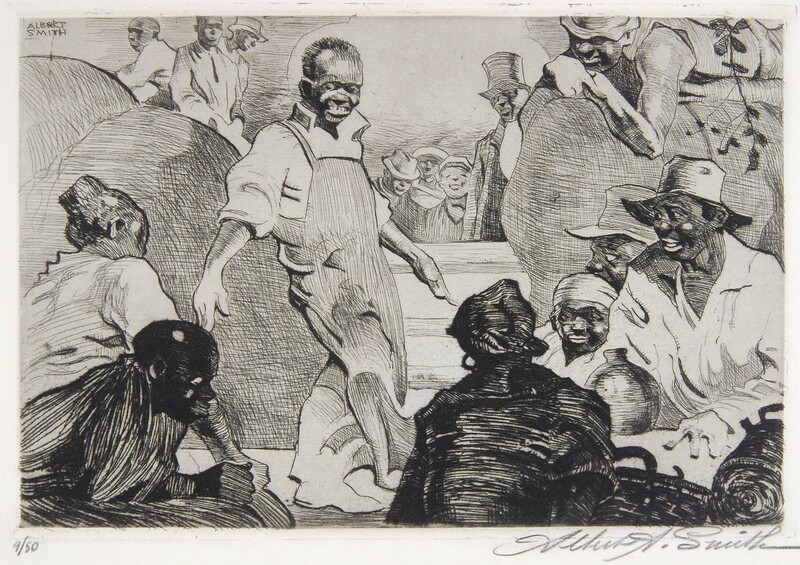 The seventy works in this exhibition date from the late 1800s to 2002 and represent just a fraction of what is contained in the Harmon and Harriet Kelley Collection of San Antonio, TX, one of the country's major collections of African American art. 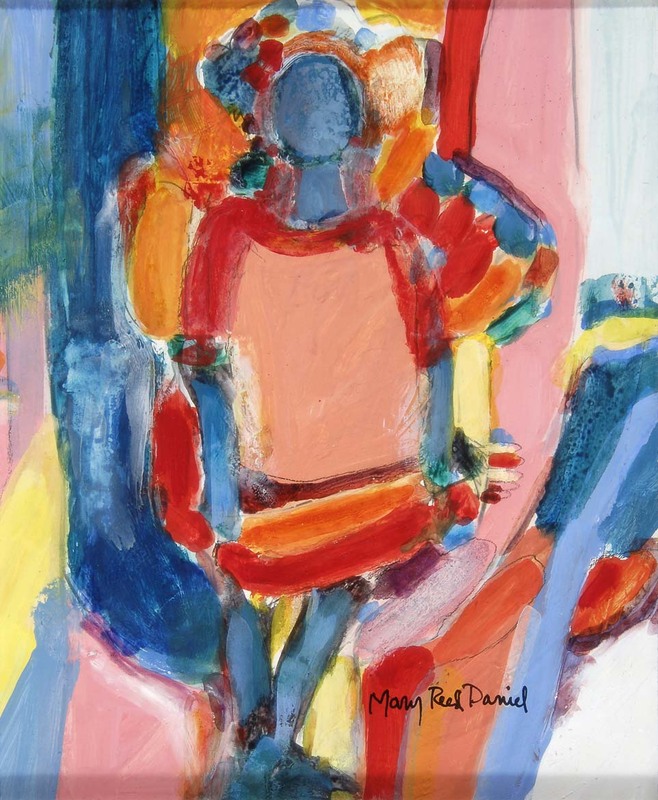 Esteemed art historian, David Driskell, Professor Emeritus at the University of Maryland at College Park, calls the Kelley Collection "one of the finest that has been assembled tracing the history of African American art." 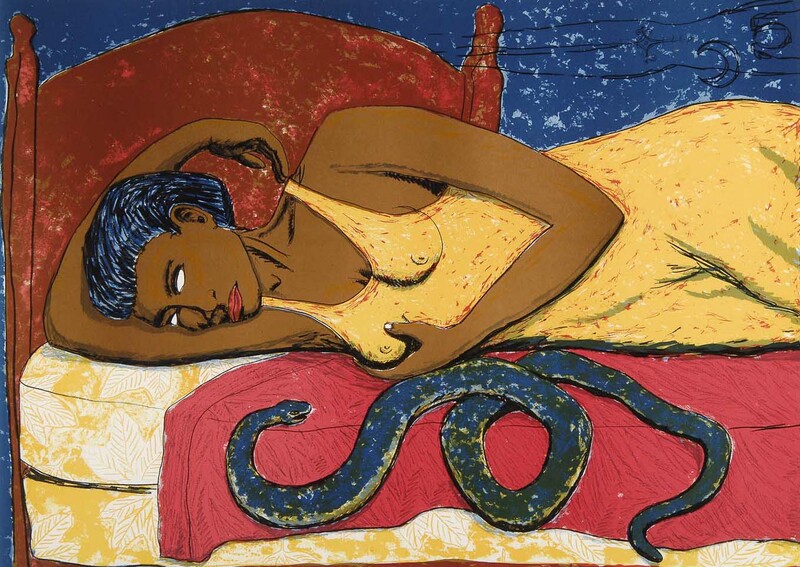 Included in the exhibition are drawings, etchings, lithographs, watercolors, pastels, acrylics, gouaches, linoleum and color screen prints by such noted artists as Ron Adams, Benny Andrews, Romare Bearden, Aaron Douglas, Jacob Lawrence, Charles White, Elizabeth Catlett, John Biggers, Henry Ossawa Tanner, Eldizer Cortor, Margaret Burroughs, and many other outstanding lesser known artists. 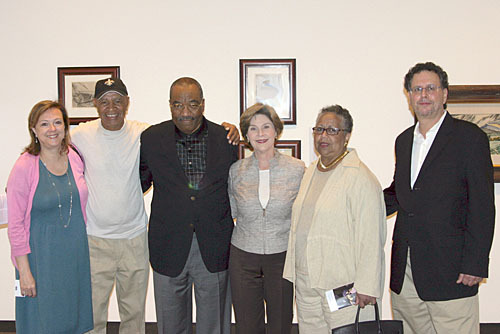 Dr. Regenia Perry, Ph.D., Professor Emerita of African and African American Art, Virginia Commomwealth University, art historian, collector and curator, contributes an introduction to the exhibition and to the Kelleys as collectors. 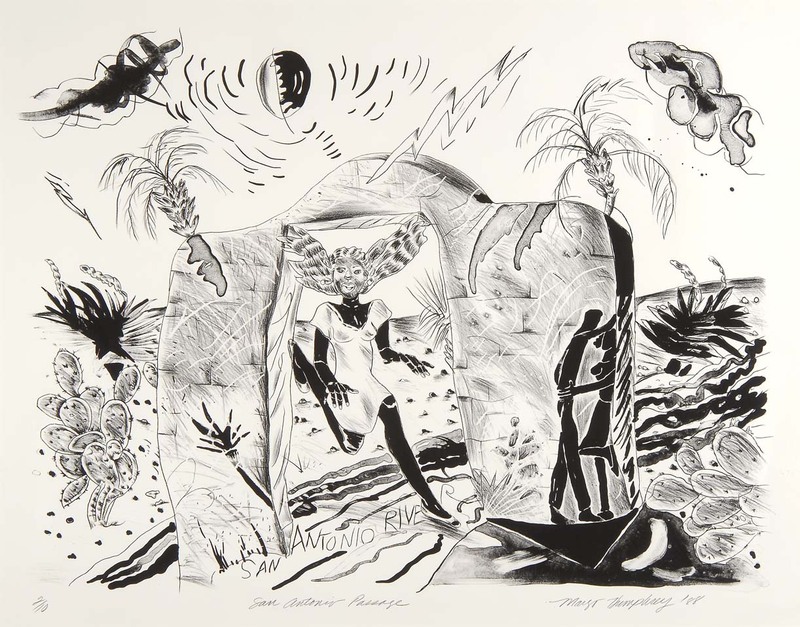 The exhibition was organized by Landau Traveling Exhibitions of Los Angeles, CA. 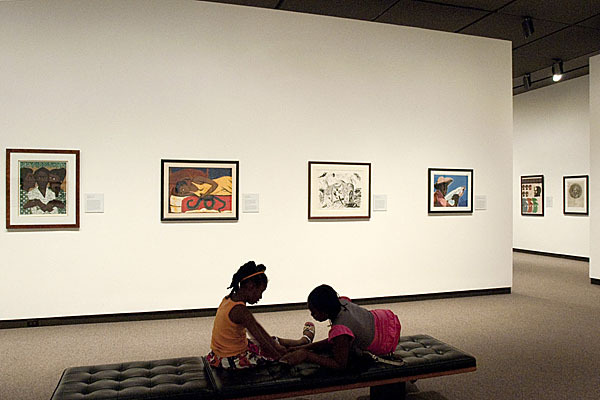 It will tour museums throughout the United States over the next few years. 250 - 350 running ft. 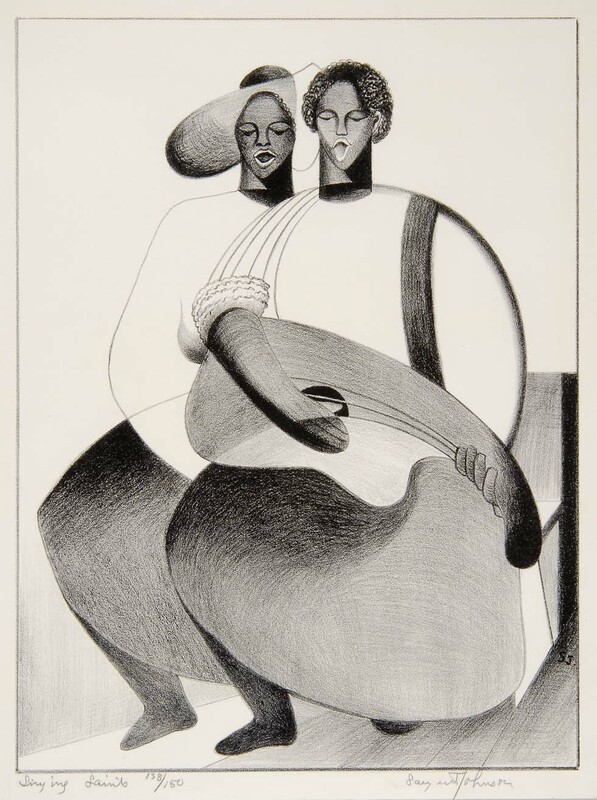 This Harmon and Harriet Kelley Collection exhibition is one of the largest and most comprehensive traveling exhibitions ever organized featuring works on paper by African American artists from the 19th, 20th and 21st centuries. 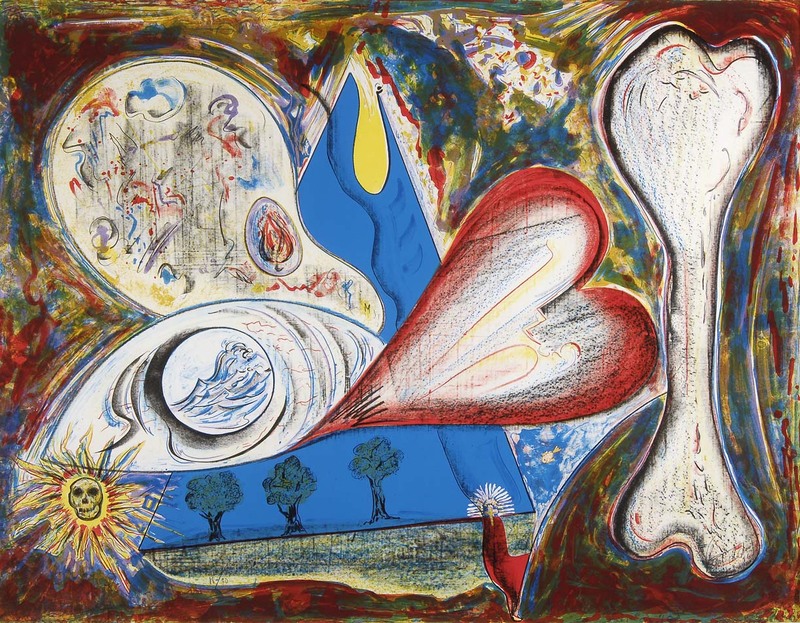 The sixty-nine works in the exhibition include drawings, etchings, lithographs, watercolors, pastels, acrylics, gouaches, linoleum and color screen prints. 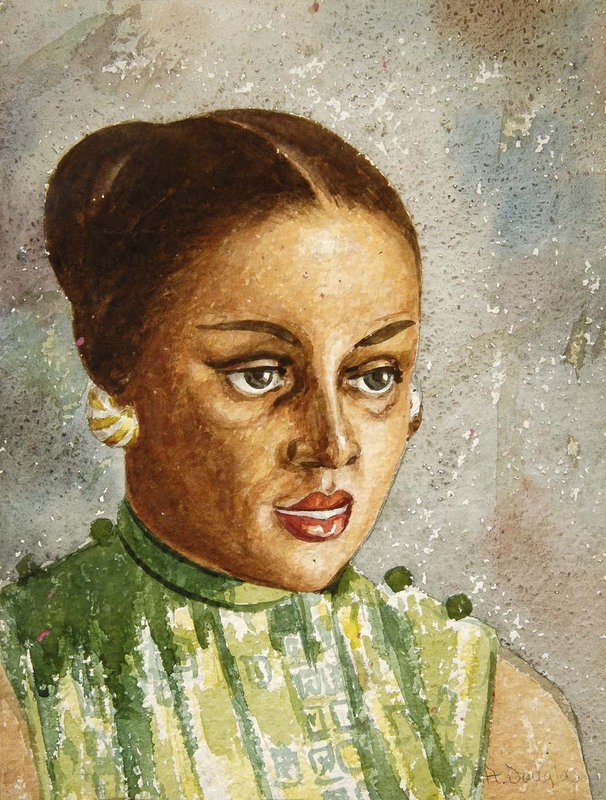 They are a small fraction of the Kelley’s large collection that reads like a "Who's Who" of the masters of late l9th and 20th century African American art. 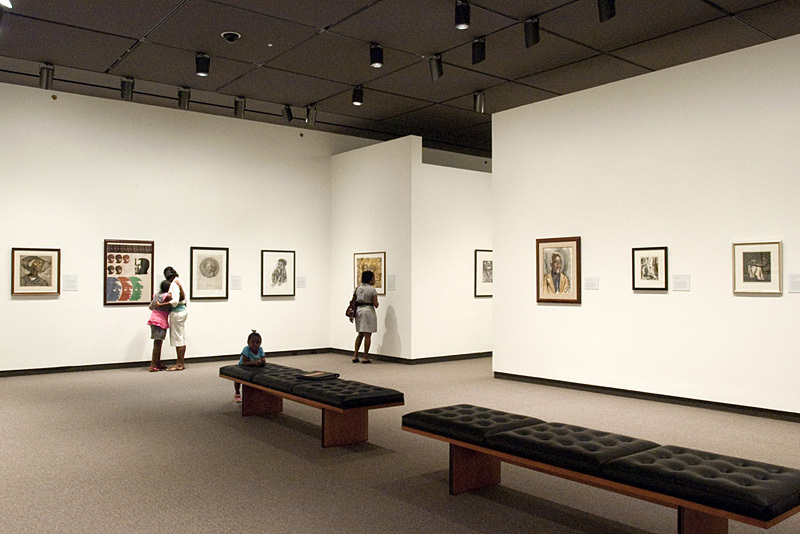 The works on paper that were gleaned from the Kelley Collection for this exhibition provide a rare opportunity for the public to view master graphics spanning three centuries of African American art. 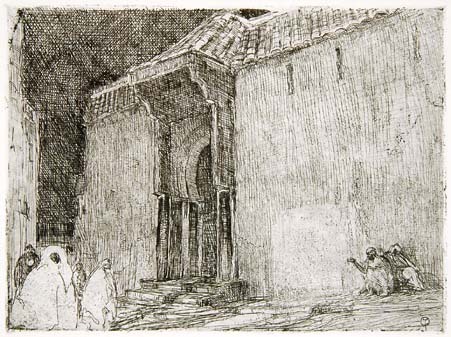 The earliest work in the exhibition is by Grafton Tyler Brown, the first documented professional graphic artist on the west coast. 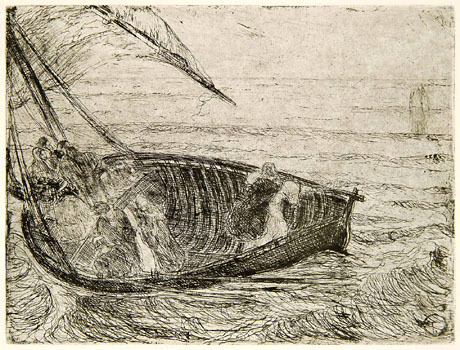 There are four well-known etchings by Henry 0. 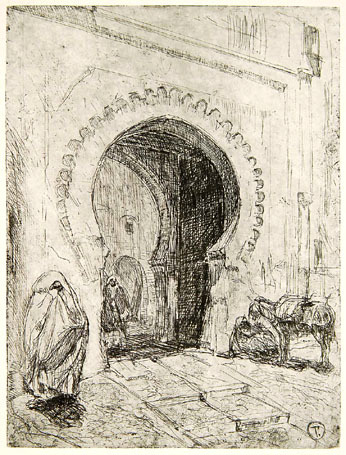 Tanner, a religious subject and three based on his foreign travels. 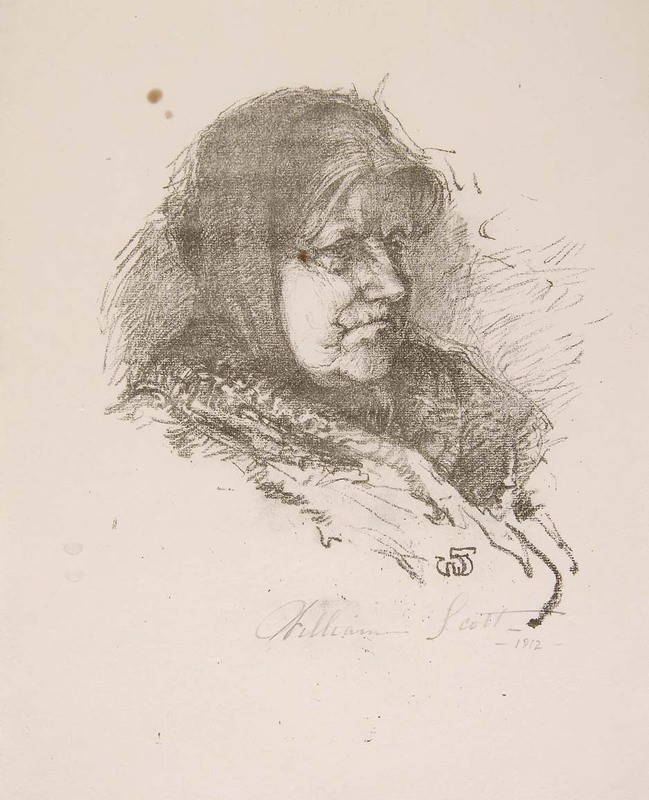 Tanner's prints of the early 20th century were avidly sought-after during his lifetime, and one of the most arresting prints in this exhibition is a study of an old woman completed in 1912 by William E. Scott, one of only several artists whom Tanner acknowledged as his students in Paris. 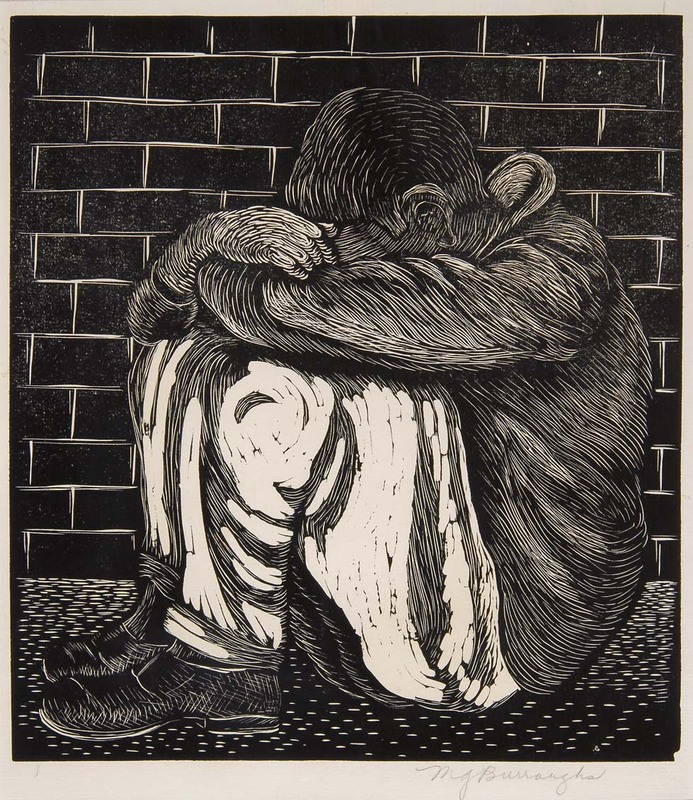 The majority of the works in this exhibition were produced during the 1930s and 40s, the era of the Great Depression and the WPA/FAP (Works Progress Administration of the Federal Arts Project) that provided employment for many artists during and after the Depression. 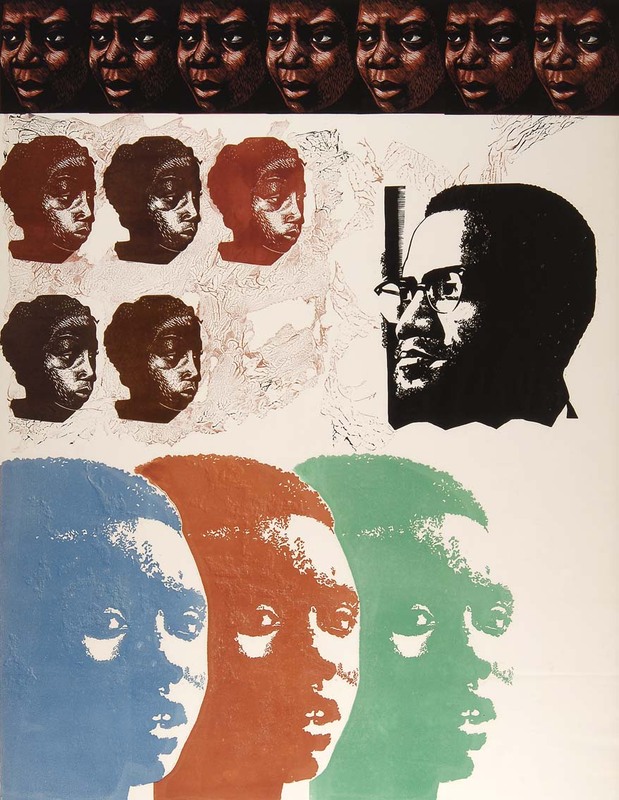 That period gave birth to a school of African American regionalism and black consciousness that would not re-surface until the civil rights movement of the 1960s. 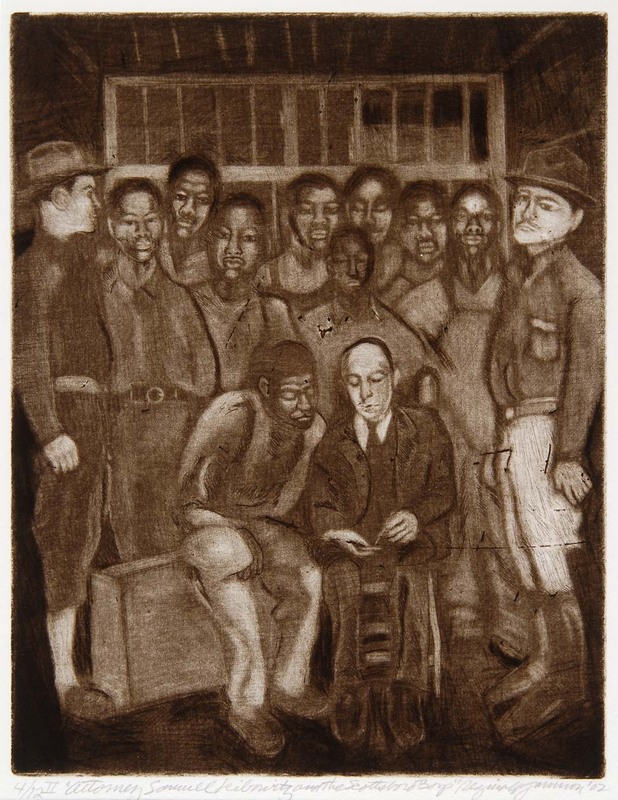 These works of the 1930s and 40s were not politically motivated and generally did not depict protest themes. 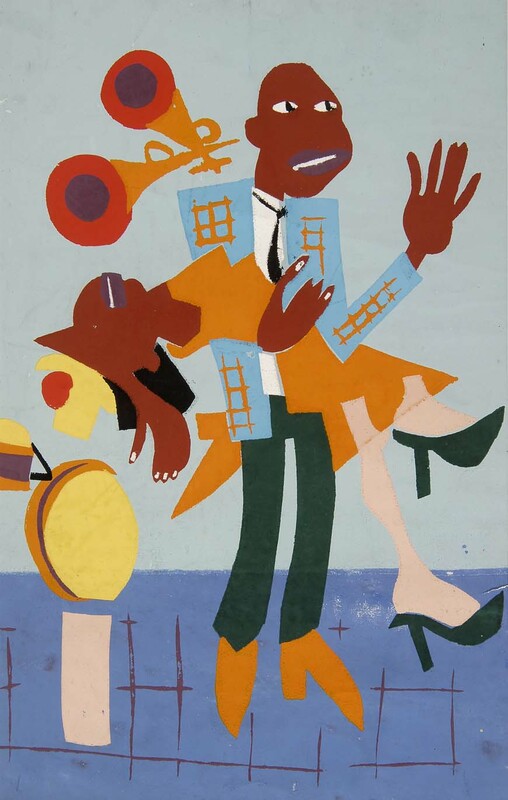 They portrayed African American subjects in rural and urban settings in a bold post-cubistic style. 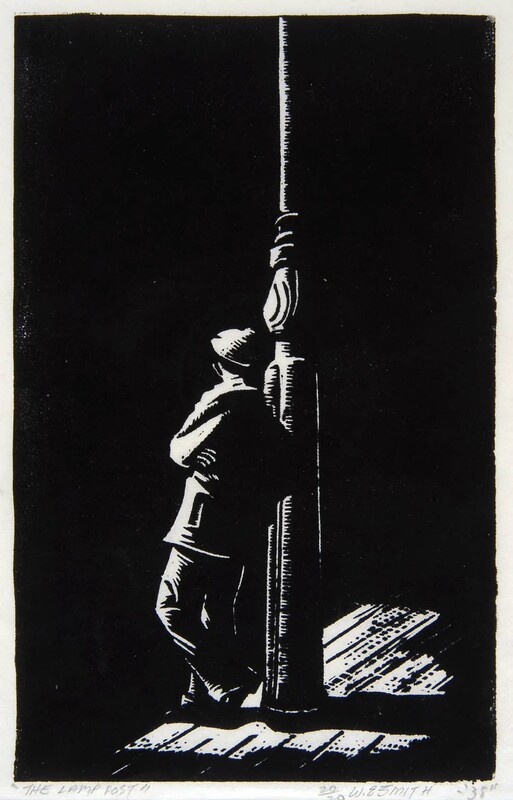 Scenes of factory workers, dock workers, farmers, bridge builders and road menders were common. 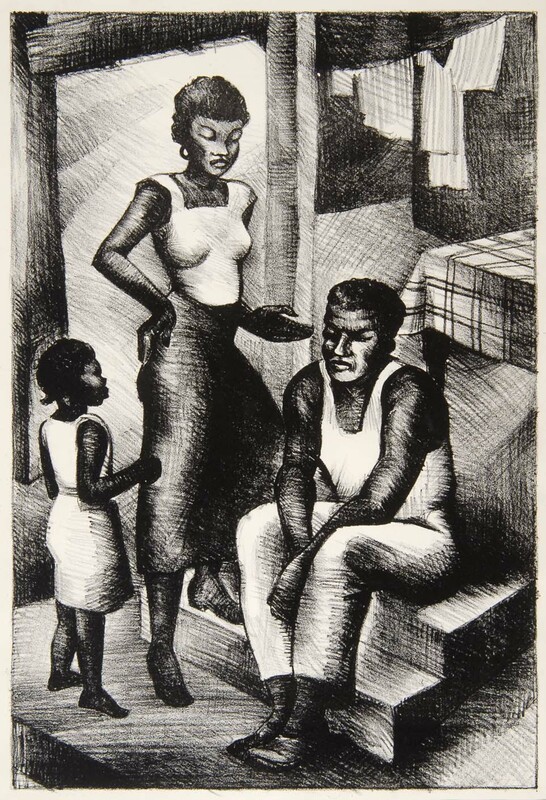 There was also an emphasis on family themes evident herein a lithograph by Hilda Wilkerson Brown completed around 1940. 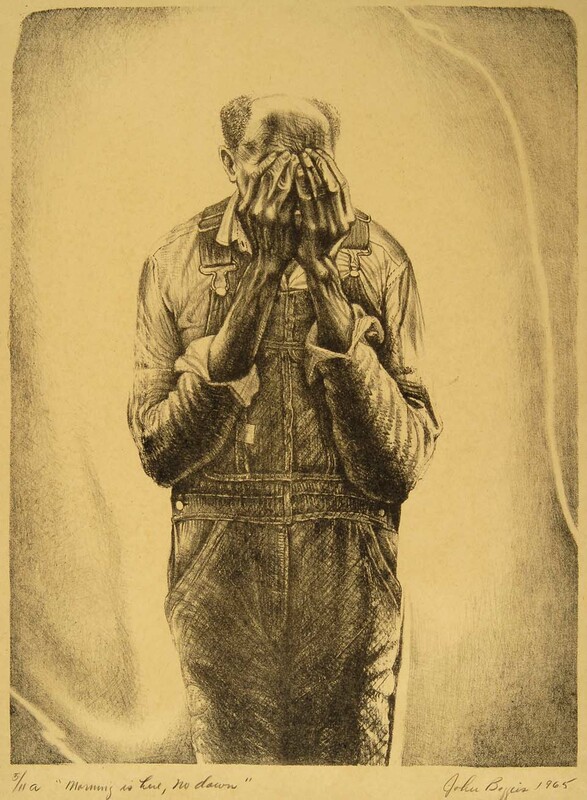 Two powerful prints by Dox Thrash are also the embodiment of the art of the Depression era. 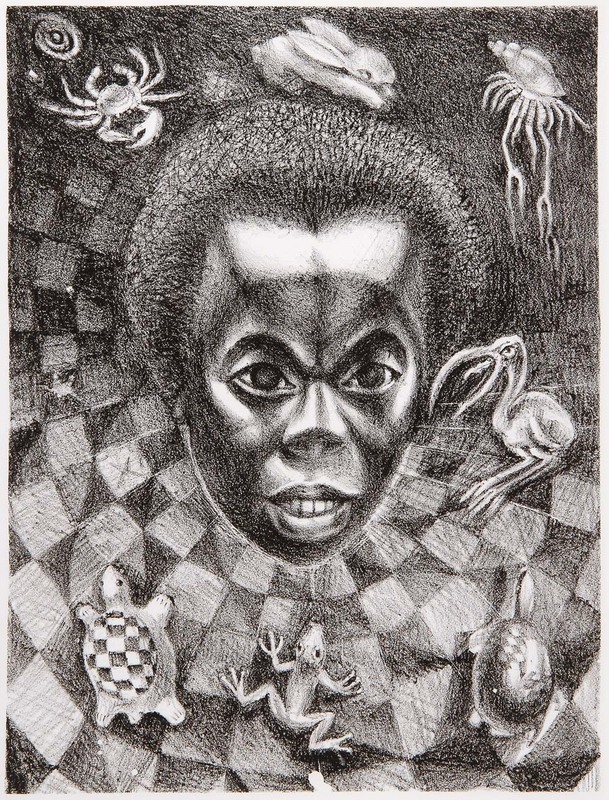 An outstanding graphic artist from an earlier generation, Albert A. Smith completed most of his works in Paris, and was probably the first African American artist to produce etchings. 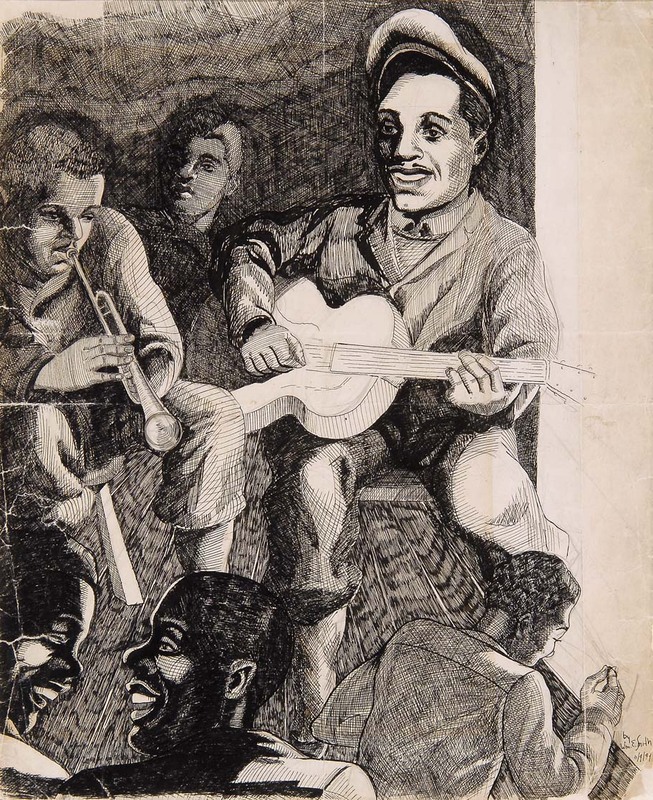 Immensely popular in France and the United States, an accomplished musician, the Kelley collection includes one of Smith's etchings based on a stereotypical black themes designed for white audiences. 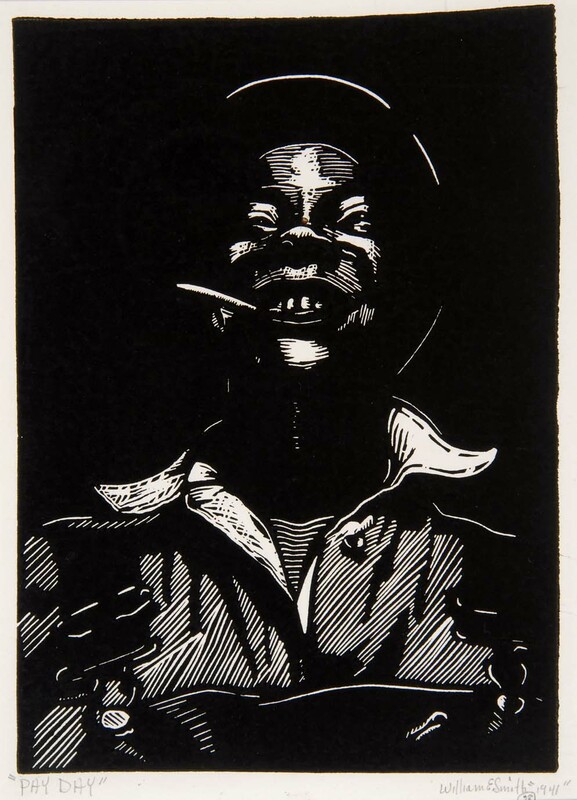 This school of African American printmakers also included James Wells of Washington, D.C., Allan E. Frelon of Philadelphia, and John Wilson who spent years documenting the working class of his Roxbury neighborhood in Boston. 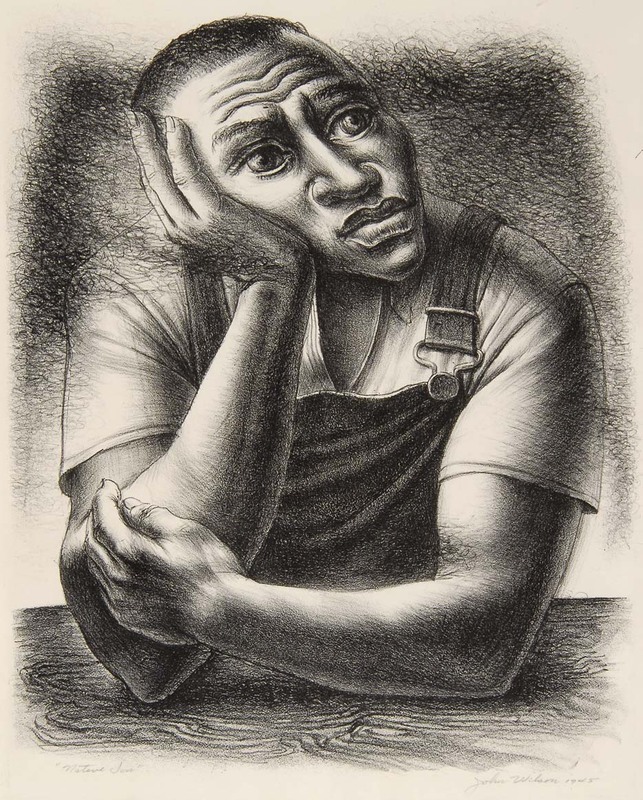 All of those artists are represented here as well as two of the most important graphic artists of the 20th century in the United States, Charles White and John Biggers. 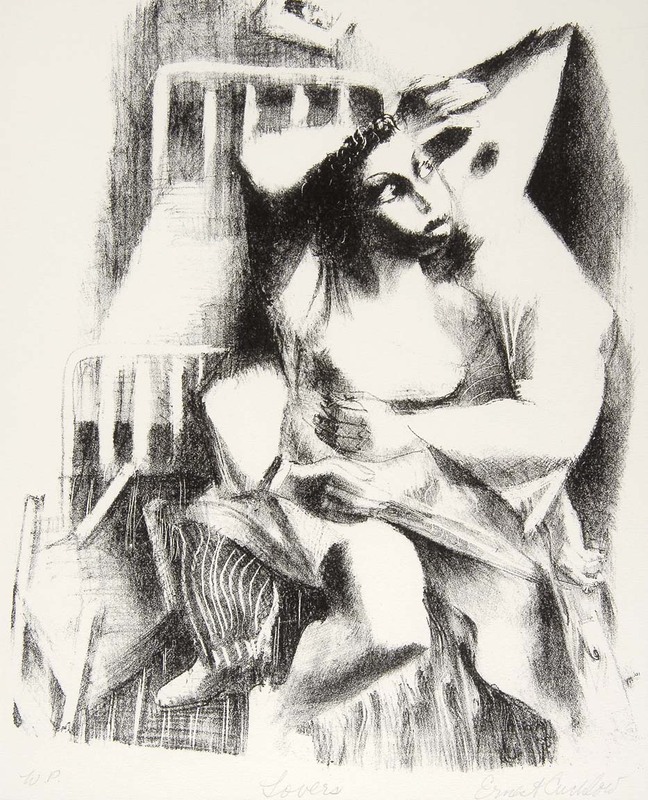 Both men possessed the unique ability to portray sculptural images on two-dimensional surfaces. 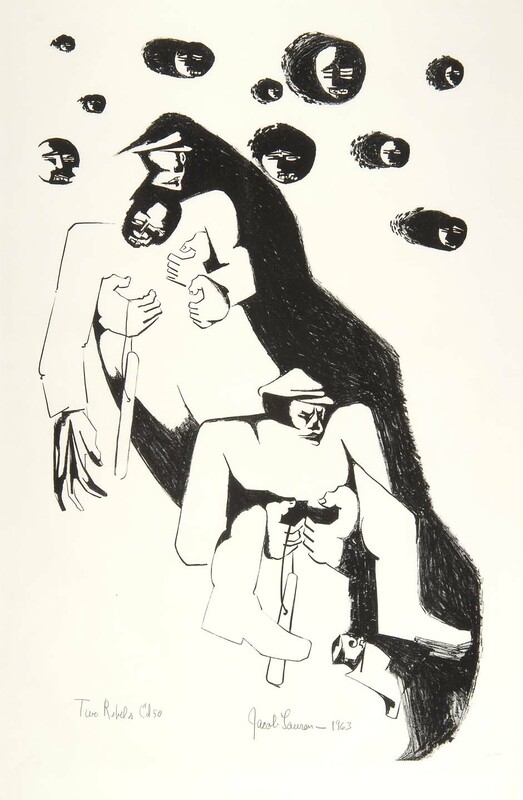 Biggers is represented by two powerful images, an elderly black male wearing bib overalls and covering his face in despair from 1965, and a 1996 lithograph, At Risk, that depicts the detached head of a black youth floating in a cosmos of symbols associated with Biggers' art. 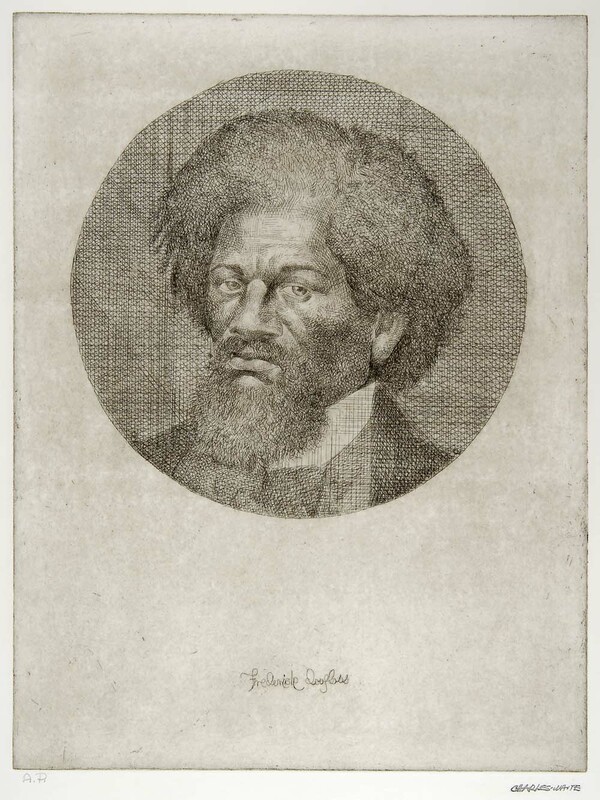 Charles White is represented by three impressive works, a drawing of a night club hostess, an early portrait etching of abolitionist Frederick Douglass, and a lithograph from his renowned "Wanted Poster" series inspired by confederate currency and pre-Civil War posters offering rewards for escaped slaves. 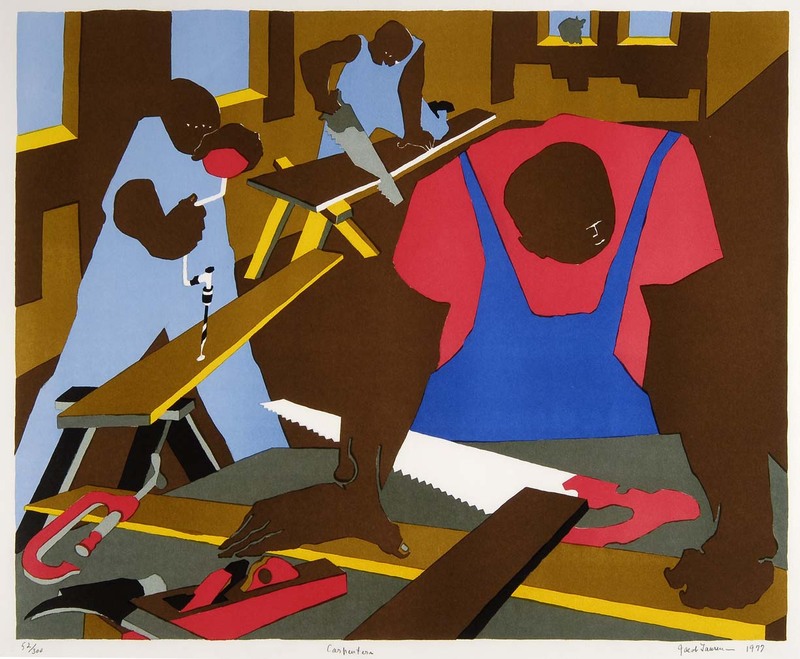 Jacob Lawrence, on of the most highly acclaimed black artists of the 20th century, began his career in New York during the 1930s and is represented in this exhibition by a civil rights theme, Two Rebels of 1963 and the well-known Carpenters color lithograph of 1977. 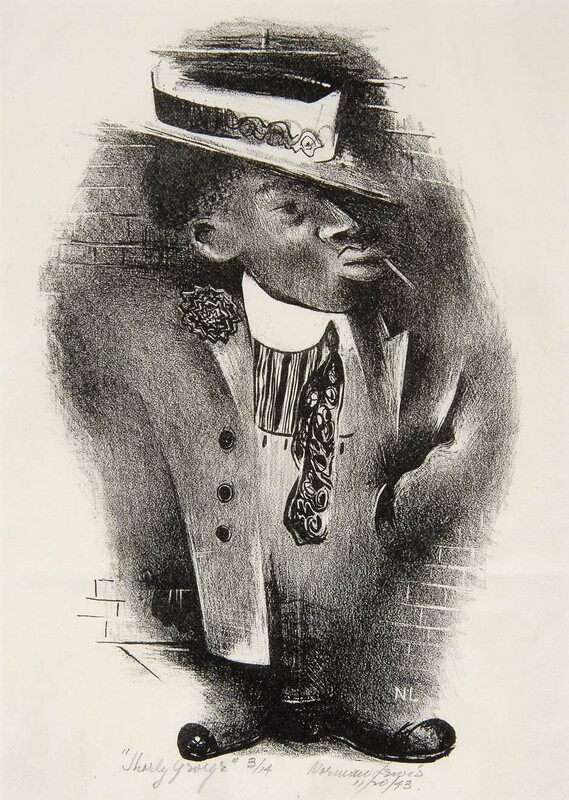 Perhaps the most influential African American graphic artist of the mid-20th century was Robert H. Blackburn who founded the Printmaking Workshop in New York where he supervised the editions of numerous artists including Romare Bearden, Norman Lewis, Benny Andrews and Ernest Crichlow. 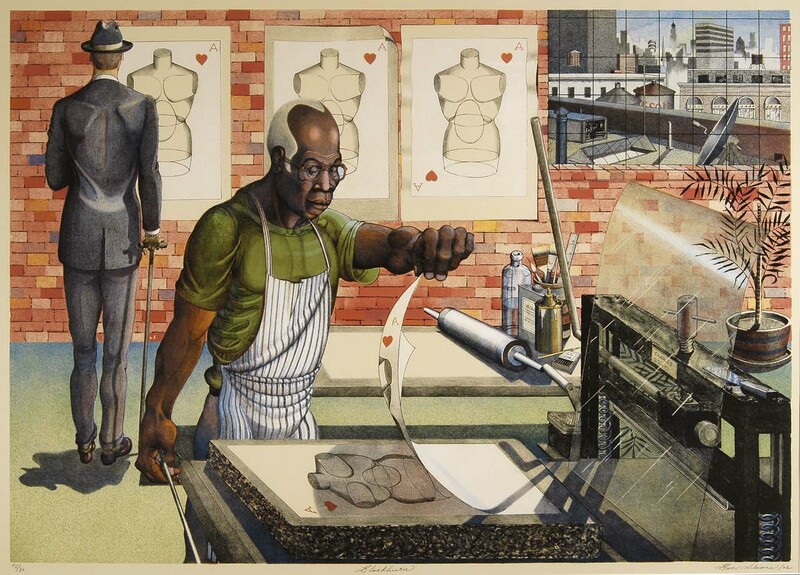 Blackburn's work is included as well as a tribute to him by master draughtsman Ron Adams depicting Blackburn in his workshop in the process of pulling a print. 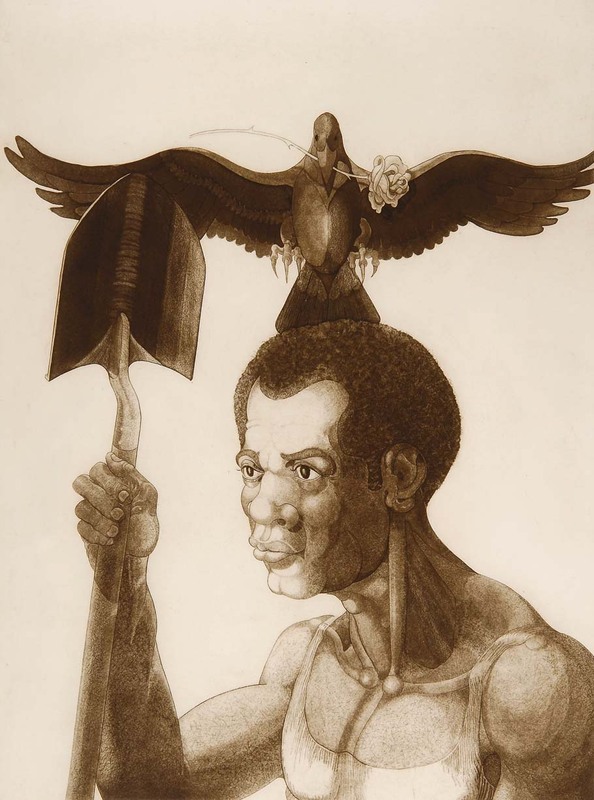 A second print by Adams is an etching depicting a black male as an endangered species (with shovel and do-do bird) in the same ominous spirit as John Biggers' At Risk. 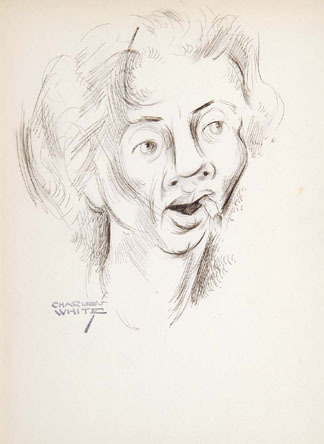 During the 1940s Hale A. Woodruff was chairman of the art department at Atlanta University, and the leader of the school of black regionalism in Atlanta. 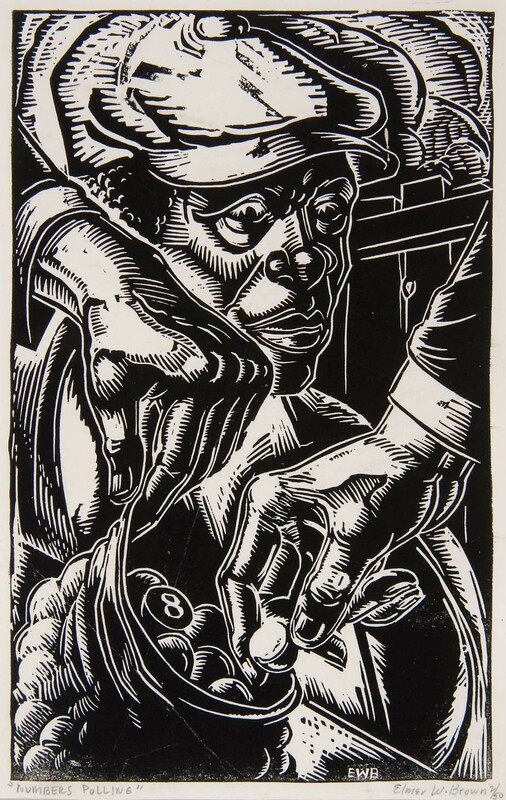 Woodruff and two of his students, Wilmer Jennings and Elmer Stallings, produced numerous prints depicting African American life and communities in Atlanta. 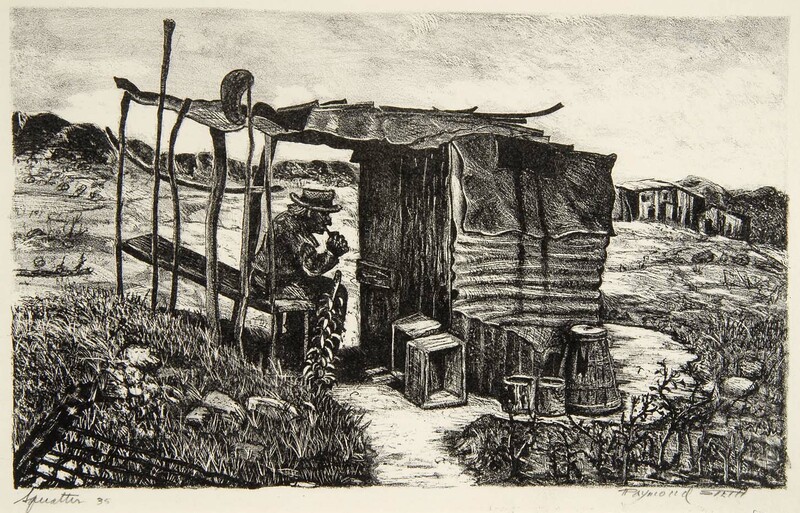 Many of their landscape subjects contain an outdoor toilet in the background and they were dubbed the "Outhouse School." 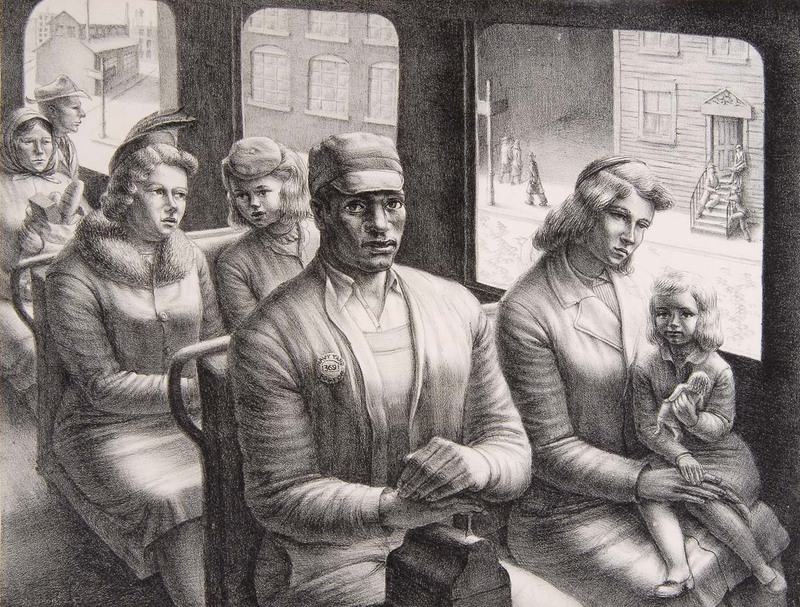 It is impossible to overemphasize the significance of this pivotal period in African American art history. 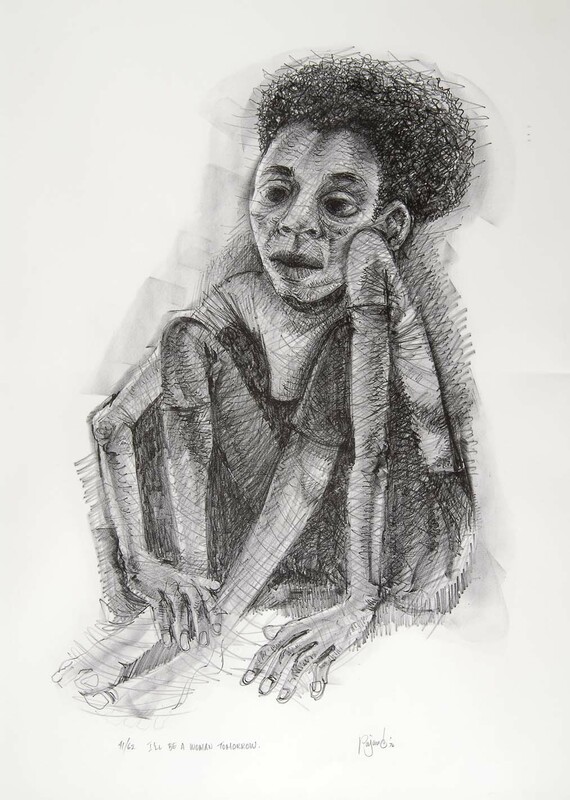 It has seldom been the focus of studies and installations, and is the strongest aspect of works on paper from the Kelley Collection of African American art. 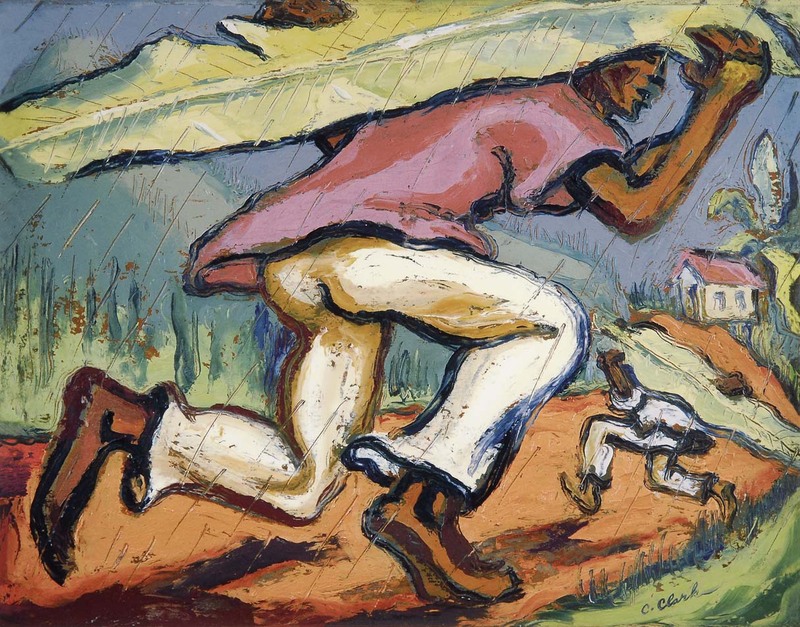 William H. Johnson and Sargent Johnson are both represented by works of the 1940s, as are Calvin Burnett, Paul Keene and others. 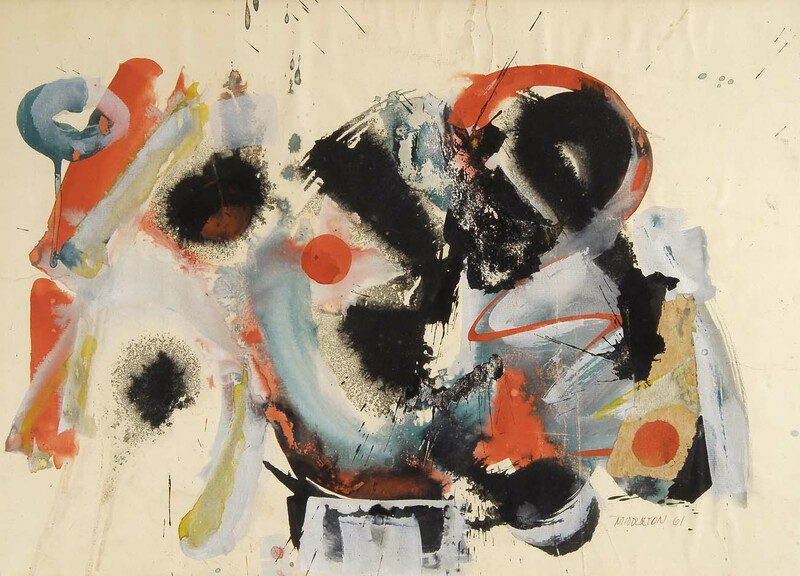 By the 1950s many African American artists were greatly influenced by the abstract expressionism of the New York School. 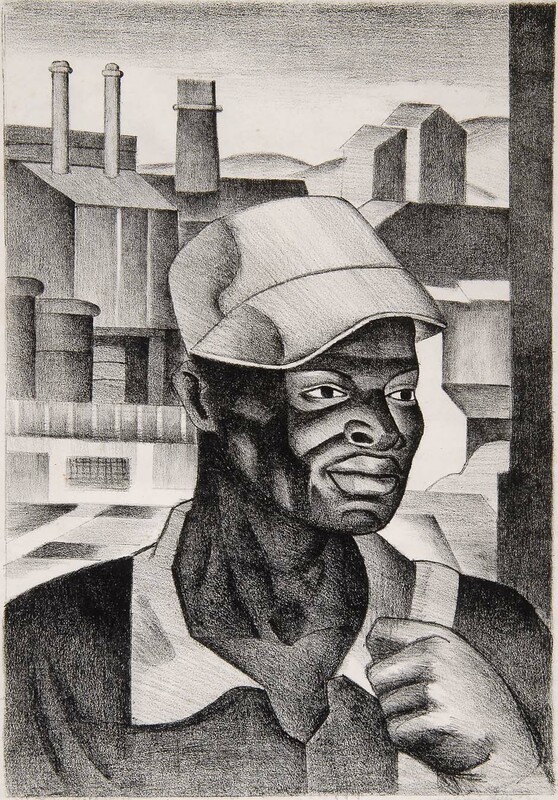 There were some artists however, who consistently depicted African American imagery in their works including Charles White, Jacob Lawrence, John Biggers, Romare Bearden, Claude Clark and Elizabeth Catlett---all of whom are represented here. 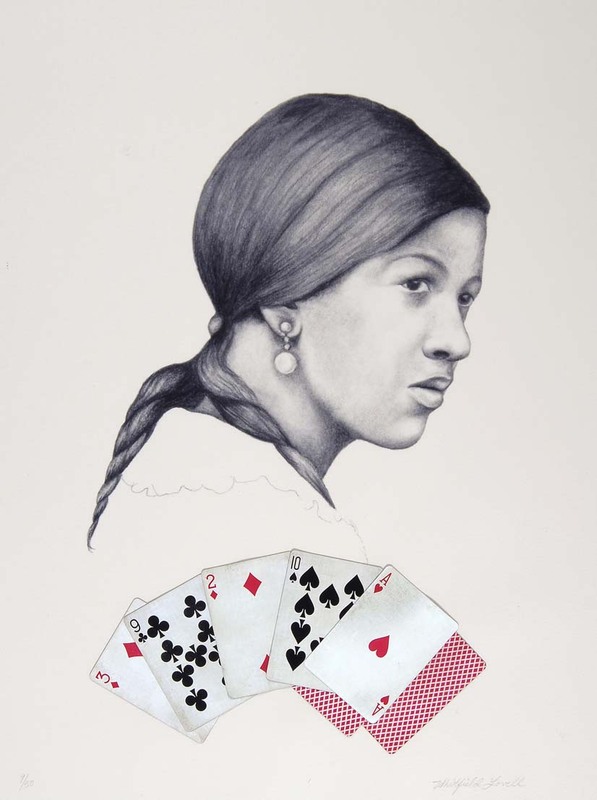 The 1960s and early 70s gave birth to the politically motivated and African-inspired are of the civil rights period for the first time since African American regionalism that is the focus of this exhibition. 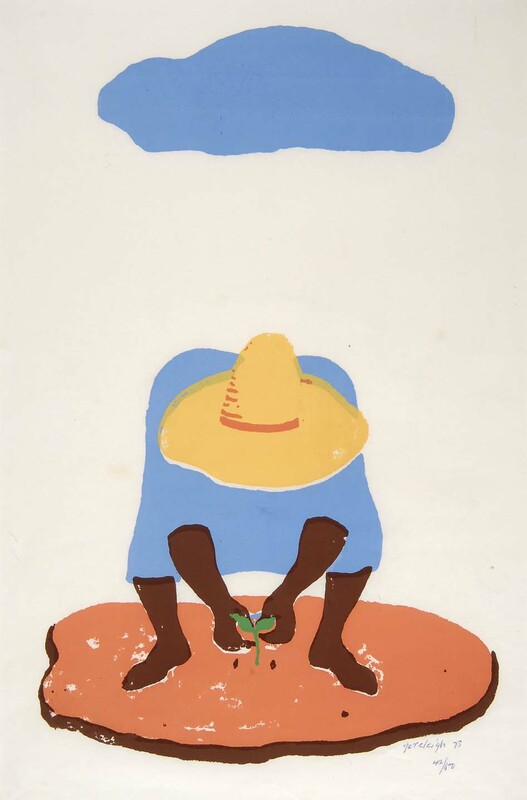 Two civil rights-themed works in this exhibition are a 1963 lithograph by Jacob Lawrence entitled Two Rebels and Elizabeth Catlett's well-known print Malcolm Speaks for Us of 1969. 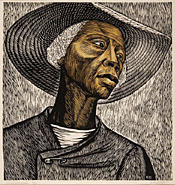 Catlett's Sharecropper of 1952, a decade earlier, attests to the sculptural character of her graphic works. 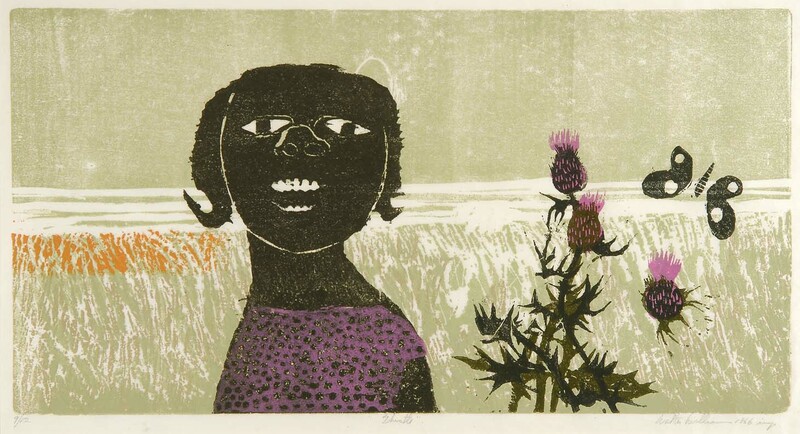 Walter William, an ex-patriot artist residing in Denmark during the 1960s, produced haunting images of black children in bucolic landscapes with flowers and butterflies is represented by Thistle, a four-color block print of 1966. 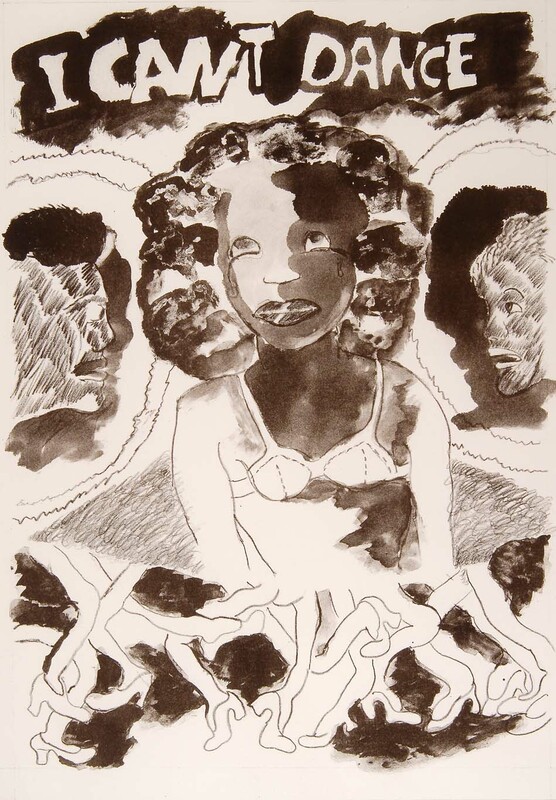 The late 20th and early 21st century works on paper from the Kelley Collection continue their quest for excellence by focusing on some of the brightest stars of the contemporary generation; Margo Humphrey, Alison Saar, Dean Mitchell, Robert Colescott, Lionel Lofton, Charles Criner, and self-taught artists Bert Long and Ike E. Morgan. 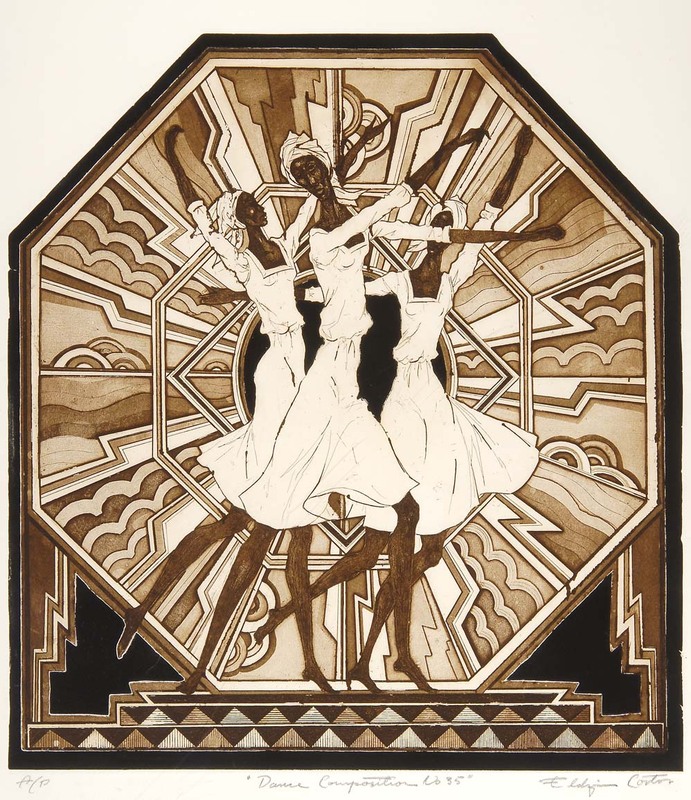 A refreshing end-note to this retrospective exhibition of African American graphic art is two late works by second generation masters of the 1930s, 40s and 50s. 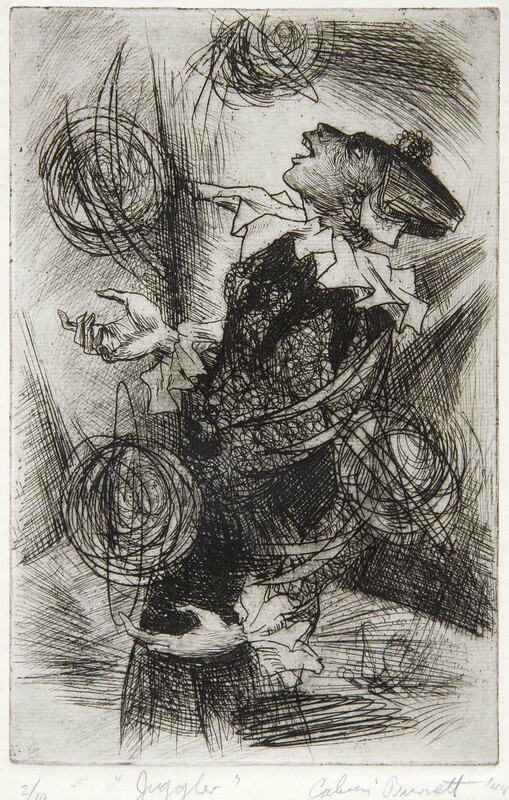 Eldzier Cortor is represented by an octagonal Dance Composition, produced during the 1990s when he was well into his 80s. 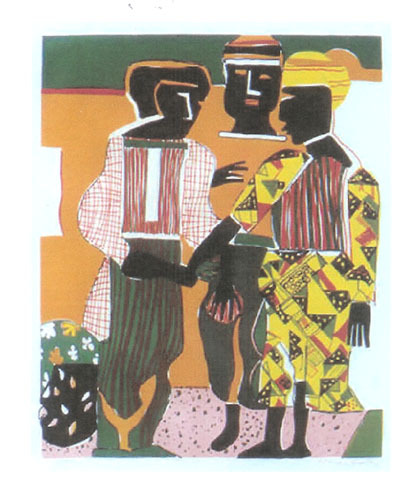 The print reflects his trademark elongated figures against a complex geometric background. 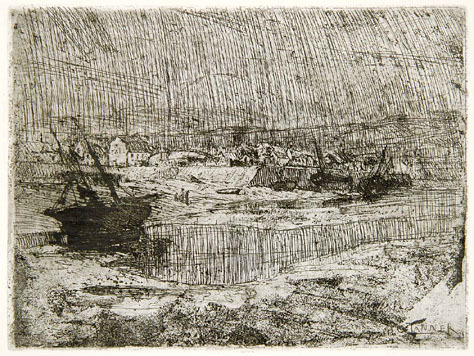 The result is a work as vigorous and impressive as any of his creations of a half century earlier. 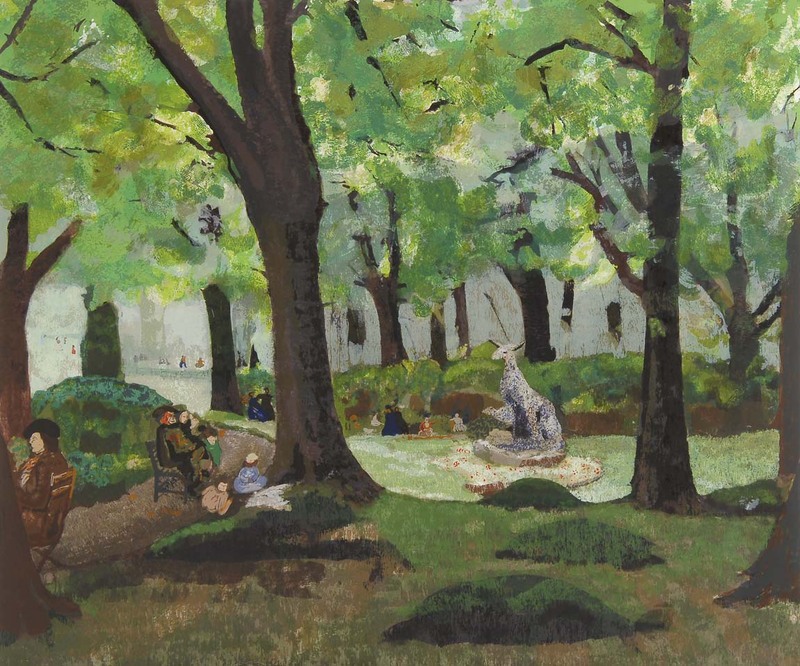 Lois Mailou Jones' color screen print of 1991, Le Jardin du Luxembourg, produced when she was 86, is testimony to her life-long love affair with her adopted city, and is as vibrant as the prints and paintings she produced in Paris when she moved there during the 1930s and was profoundly influenced by post-impressionism and African art. 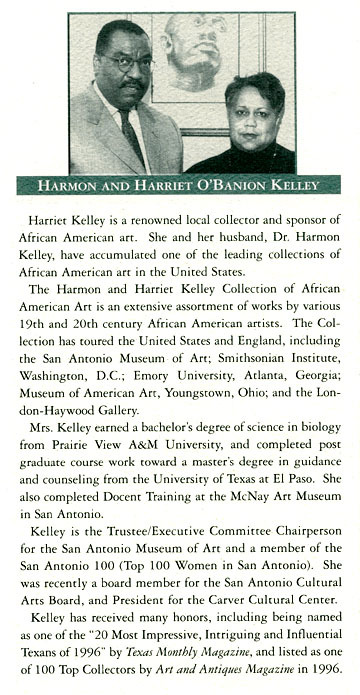 Harmon and Harriet Kelley will almost certainly be listed in the annals of American art collectors as the San Antonio, Texas-based couple who accomplished the unprecedented feat of accumulating one of the largest, most impressive, and most comprehensive private collections of paintings, sculptures and work on paper by leading African American artists of the 19th and 20th centuries. 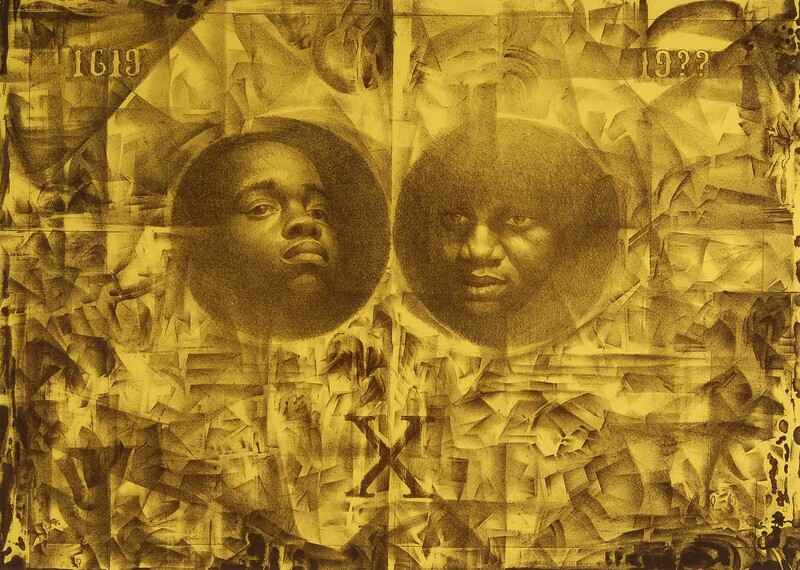 The majority of their works was collected during a mere decade beginning in 1987. 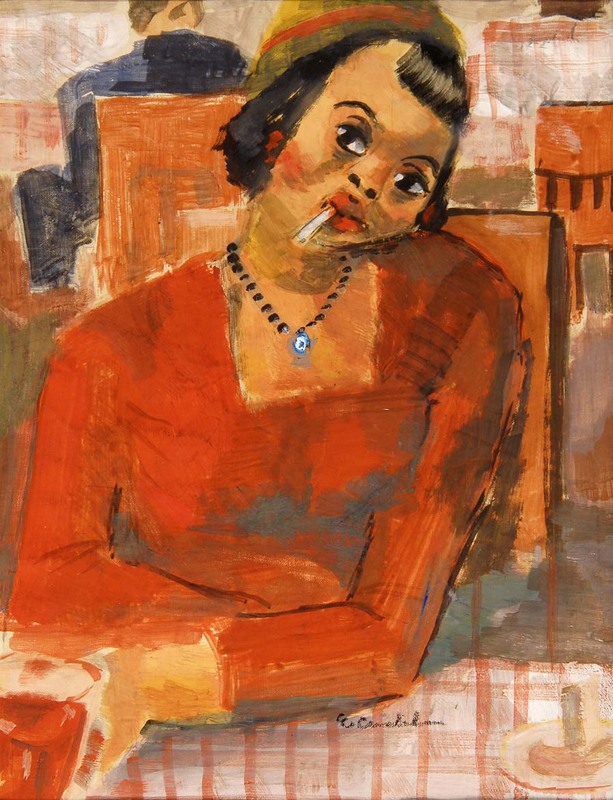 It should be noted that by this time works by acclaimed African American artists had become scarce in the art market, were prohibitively expensive to purchase, avidly sought by mainstream museums trying to compensate for a century of neglect, longtime private collectors seeking to expand their holdings, and people who were purchasing major works and donating them to museums for a substantial tax write-off. 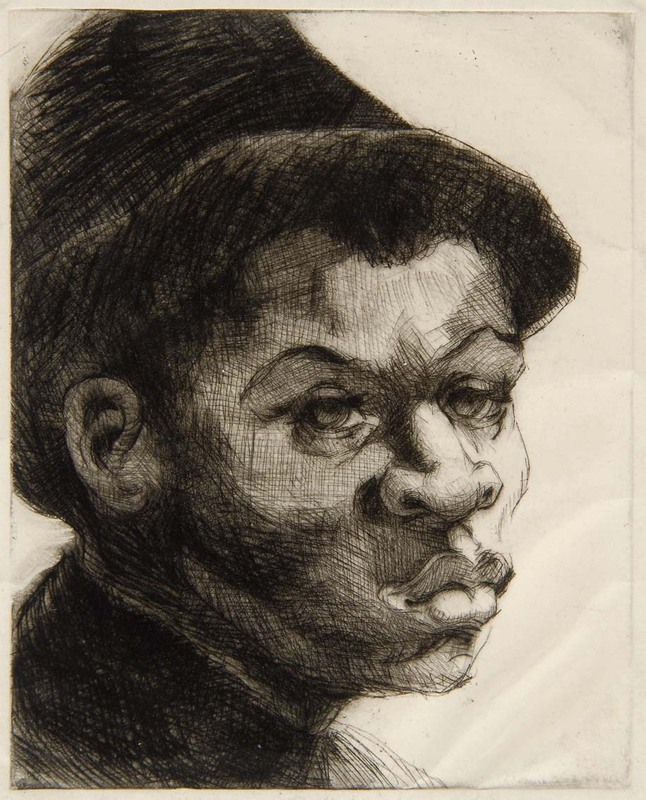 In spite of those serious obstacles the Kelleys, located far from the major art centers in the mid-west and on the east coast, were able to acquire art by all of the leading artists of the 19th century including Joshua Johnston, the Baltimore, Maryland -based early 19th century portrait painter who is the earliest documented professional African American artist. Other landmark acquisitions followed including a bust by Edmonia Lewis, the first female and the first African American professional sculptor who worked in Rome during the late 19th century and was one of the leading American exponents of the neo-classic style. 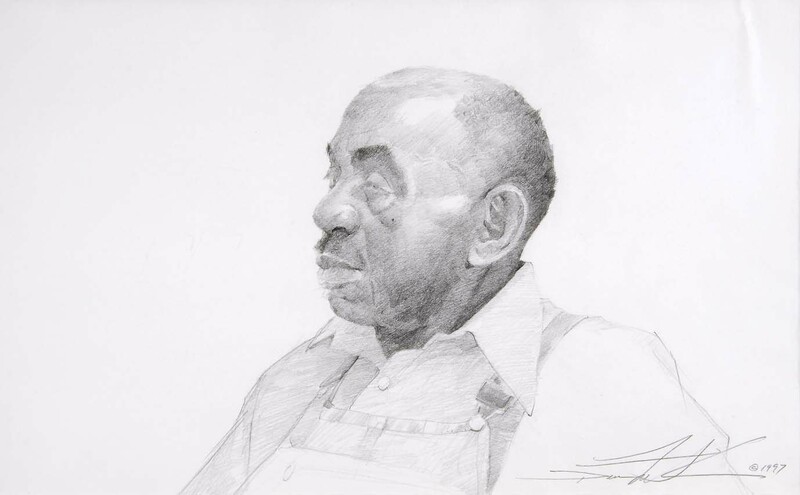 Both of the most important African American landscape painters of the 19th century, Robert S. Dun-canson and Edward M. Bannister, are represented in the Kelley Collection, as well as Charles Ethan Porter, the Hartford, Connecticut-based master of fruit and floral still-life paintings whose talents rival those of Old Masters in Europe. 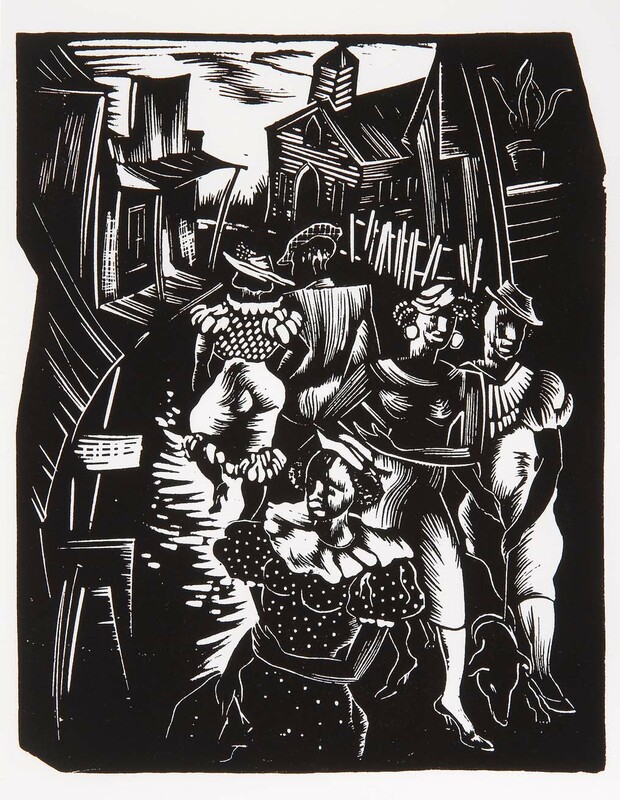 The Kelley Collection also includes the work of Grafton Tyler Brown, who is represented in this exhibition, the earliest documented professional artist working in California and on the west coast. 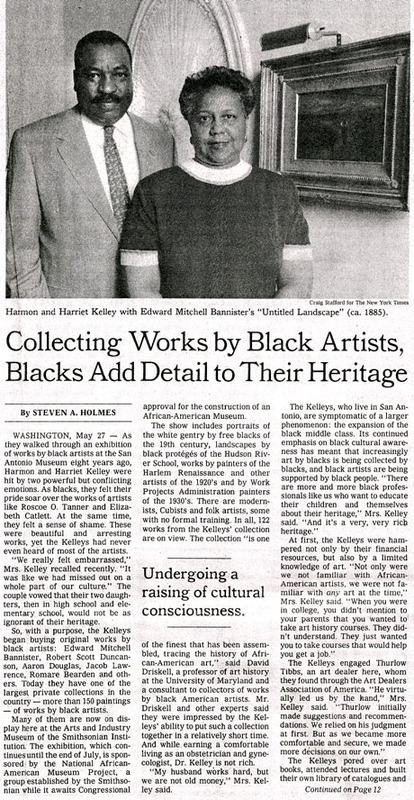 The Kelleys were also successful in acquiring paintings and works on paper by the two most celebrated of all African American artists. Henry 0. 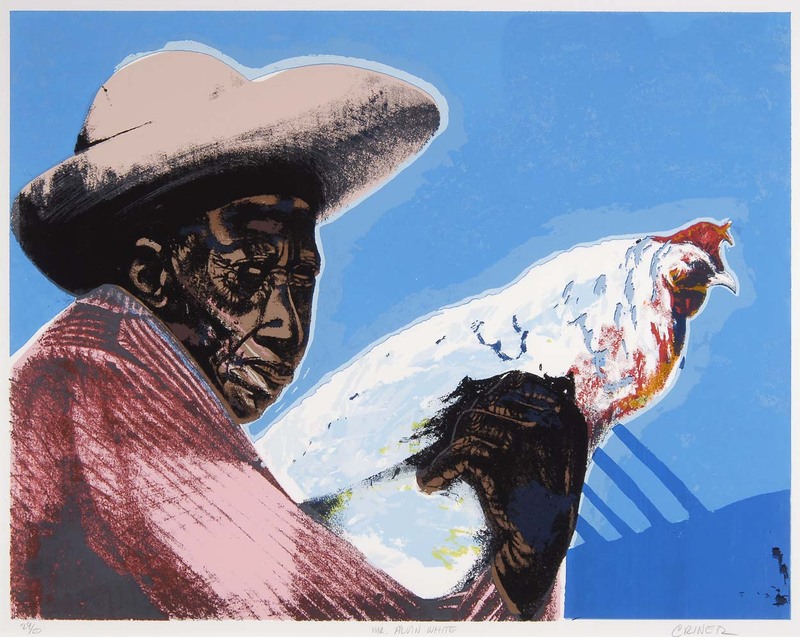 Tanner and Horace Pippin. That in itself was a near impossible task. 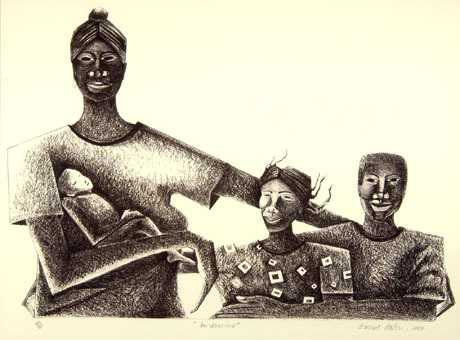 Dr. Harmon Kelley, an obstetrician-gynecologist, and his insightful wife Harriet, a college-trained biologist, were inspired to begin collecting after viewing an exhibition of African American art at the San Antonio Museum of Art and did not recognize any of the artists' names. Feeling a sense of cultural isolation, they vowed to educate themselves about this unknown to them aspect of their heritage. 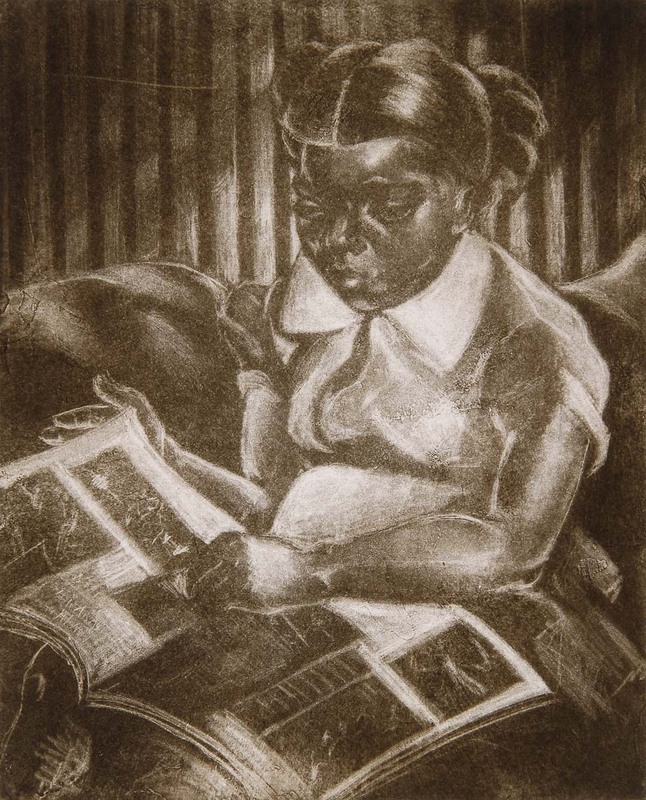 They also wanted to insure that their two young daughters would become aware of the artistic achievements of African Americans. 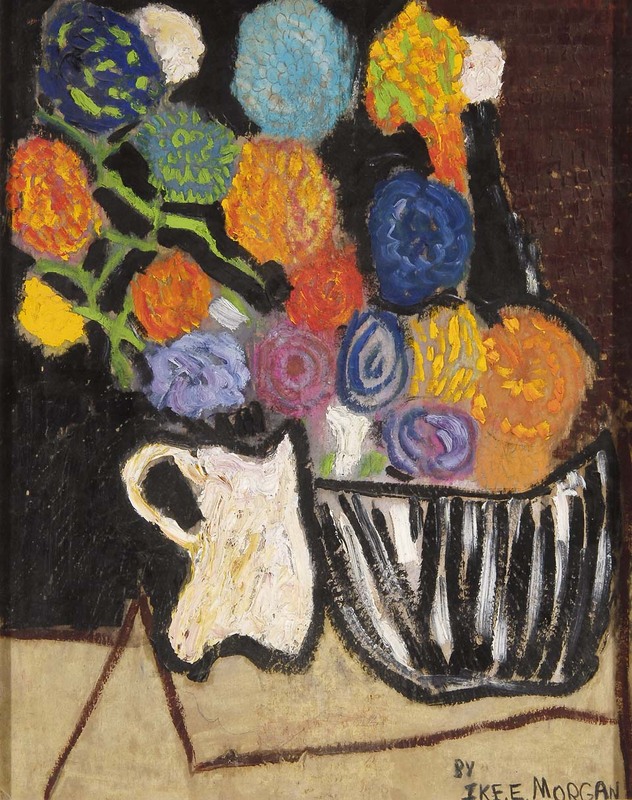 The Kelleys could not have imagined initially that their budding art collection would become the fabric of any museum's dreams, that it would overflow their three-story Neo-Georgian home, and travel to major venues in the United States and abroad. 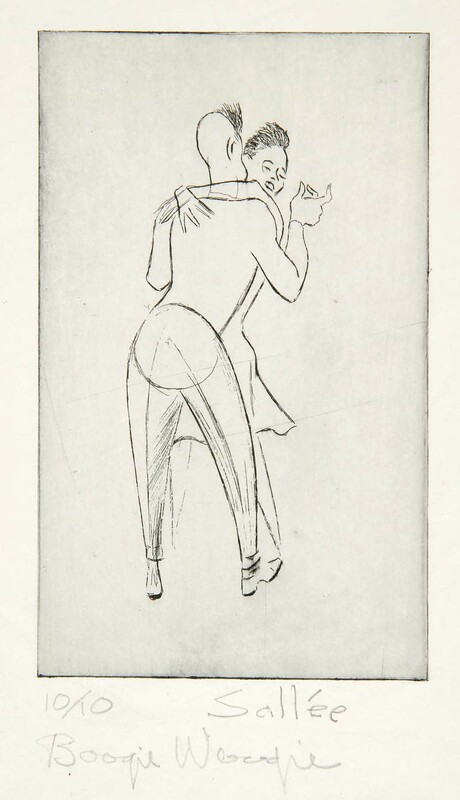 In spite of their Herculean accomplishments, the Kelleys are and remain unimposing, unpretentious, and even somewhat shy, as if they are unaware of and unaffected by their collecting acumen. 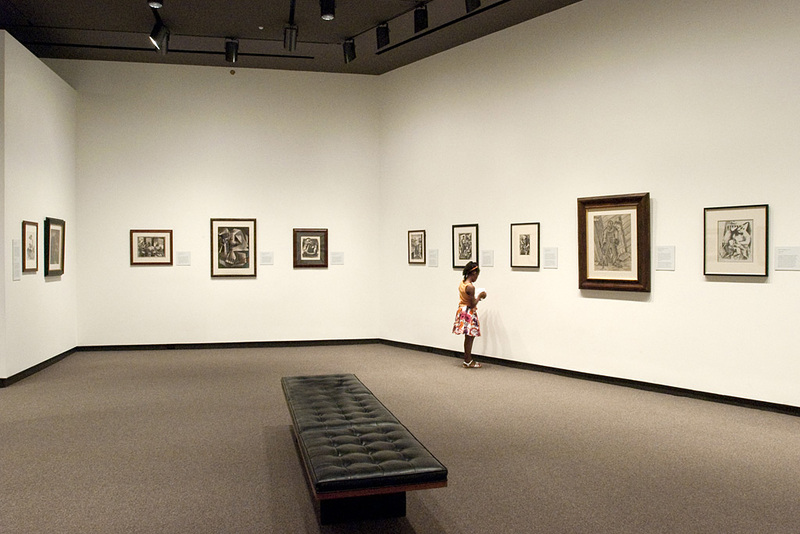 They are generous with information about their collection and enthusiastic about sharing it with the public. 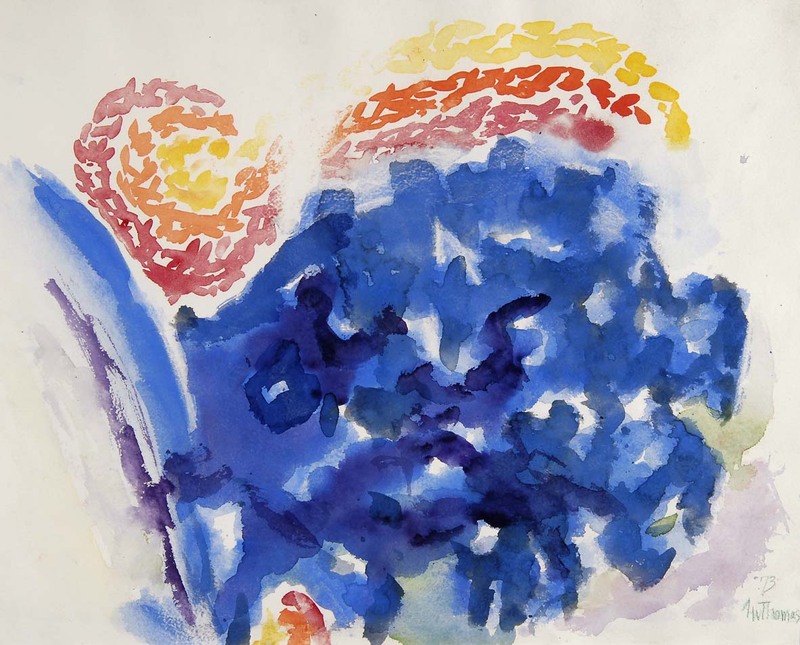 Their younger daughter, and advisor from early on, is a Spellman College-trained art historian who serves as curator of the collection, and will advance this remarkable legacy to the next generation and beyond. 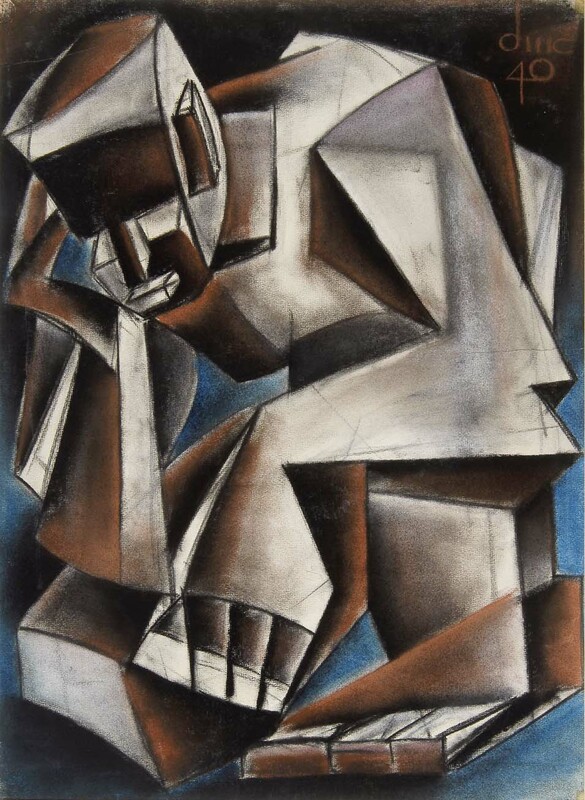 Framed: 43 x 33 in. Framed: 35-3/4 x 28-1/8 in. Framed: 27-1/2 x 22-1/2 in. Framed: 33-1/2 x 27 in. Framed: 21-1/2 x 17-1/4 in. 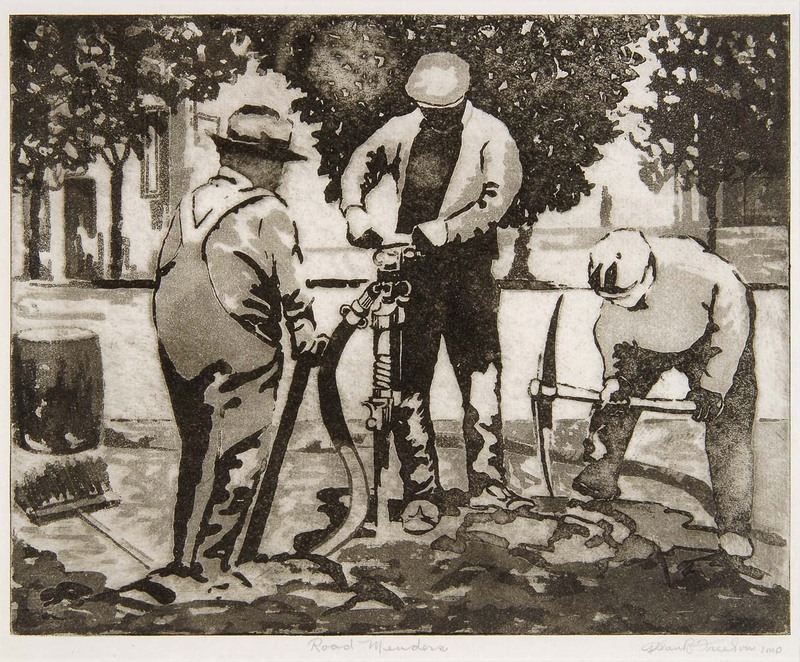 Framed: 21-1/4 x 17-1/4 in. 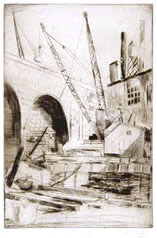 Framed: 23-3/4 x 19 in. Framed: 22 x 35-1/2 in. Framed: 18 x 14 in. Framed: 21 x 19-1/2 in. Framed: 31 x 40-3/4 in. Framed: 27-1/4 in. x 26 in. Framed: 29 x 32-3/4 in. Framed: 24-1/2 x 27-1/4 in. Framed: 36 x 34 in. Framed: 18-3/4 x 16-3/4 in. Framed: 25-1/4 x 22-1/2 in. Framed: 24-3/4 x 29-1/2 in. Framed: 14-1/2 x 12-1/2 in. Framed: 34-1/2 x 26-1/2 in. 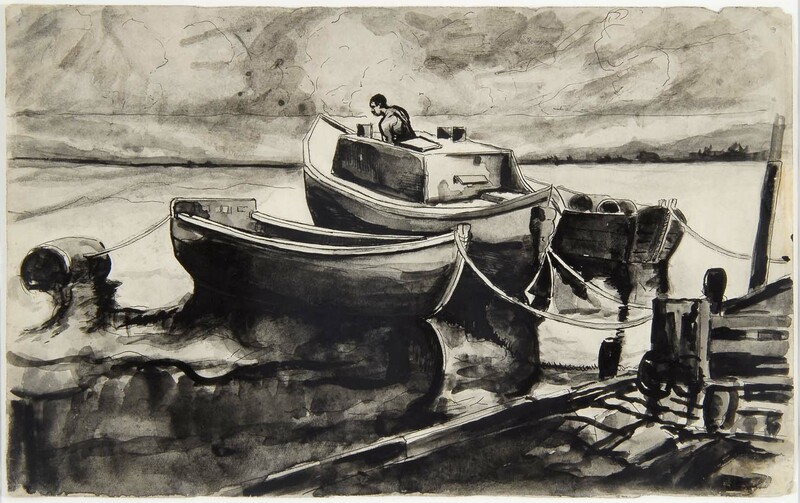 Framed: 21-1/4 x 17-3/4 in. 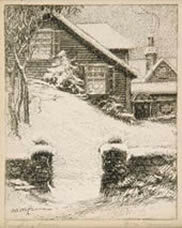 Framed: 12-1/2 x 11-1/2 in. Framed: 17-3/8 x 18-3/4 in. Framed: 19-1/2 x 15-3/4 in. 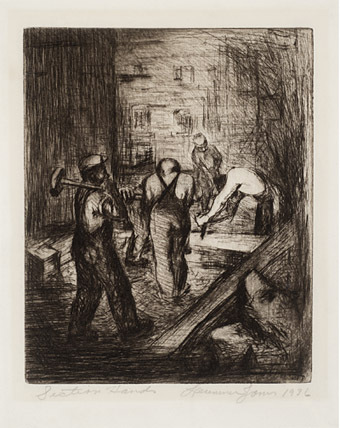 Framed: 23-3/4 x 17-3/4 in. Framed: 29 x 34-1/4 in. Framed: 27-1/2 x 21-1/2 in. Framed: 23 x 17 in. Framed: 38-1/4 x 42-1/4 in. Framed: 19-1/2 x 17-1/2 in. Framed: 32-1/2 x 26-1/2 in. 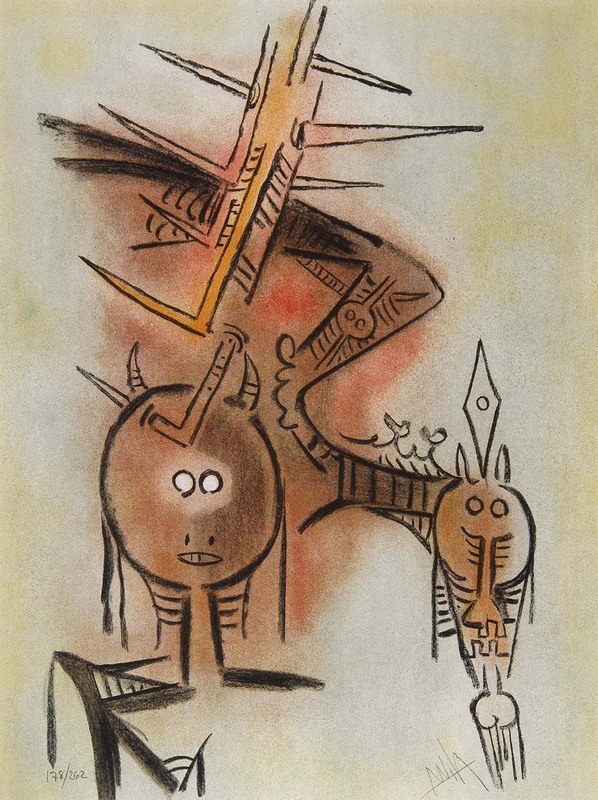 Framed: 27-1/2 x 31 in. Framed: 35 x 25-1/2 in. Framed: 17-3/4 x 15 in. Framed: 28-1/2 x 35-1/4 in. Framed 33-3/4 x 42 in. Framed: 26 x 21 in. Framed: 26 x 32-1/8 in. Framed: 16 x 21-1/4 in. Framed: 27-1/2 x 22-3/4 in. Framed: 33 x 27 in. Framed: 16-1/2 x 13-1/2 in. Framed: 20-1/4 x 17-1/4 in. Framed: 27-1/2 x 23-1/8 in. Framed: 17-3/4 x 20-1/2 in. Framed: 17-1/4 x 13-3/4 in. Framed: 19-1/2 x 15-1/2 in. Framed: 24-1/2 x 22-1/4 in. Framed: 19 x 23 in. Framed: 16 x 17-1/2 in. Framed: 16-3/4 x 18-1/4 in. Framed: 18-5/8 x 17-5/8 in. Framed: 24-1/4 x 27-3/4 in. Framed: 15-1/2 x 13-1/2 in. Framed: 15 x 19 in. Framed 19-3/4 x 17-1/4 in. Framed: 29-1/4 x 36-1/4 in. 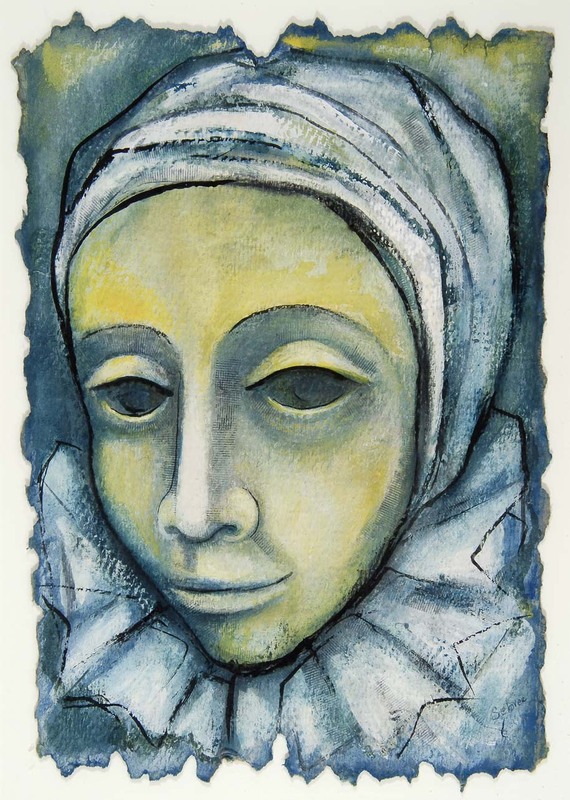 Paper size: 29-7/8 x 21-3/4 in. Framed: 35-1/4 x 27-1/4 in. Framed: 21 x 31 in. 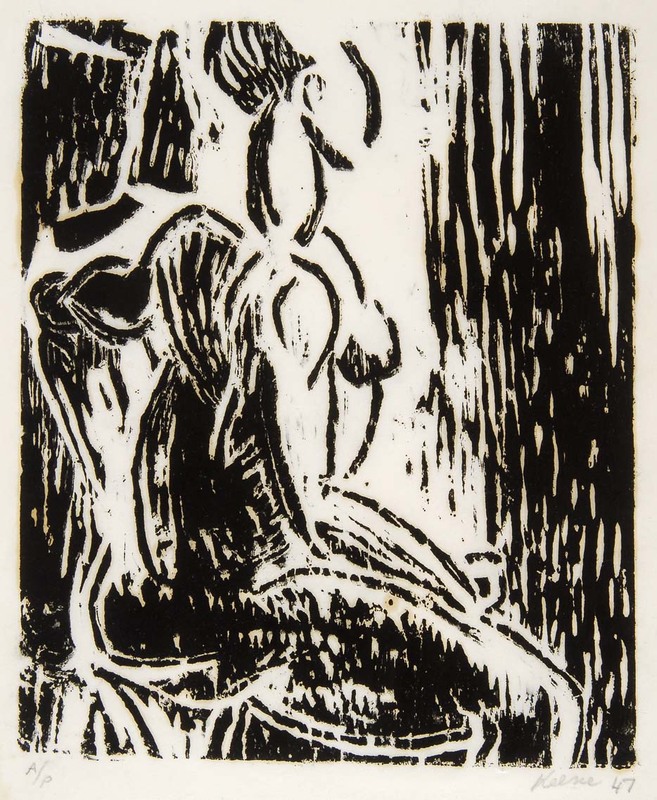 Framed: 23-3/4 x 21 in. Framed: 20-1/2 x 23-3/4 in. Image size: 9-3/4 x 7-3/4 in. ; Framed: 28 x 24 in. 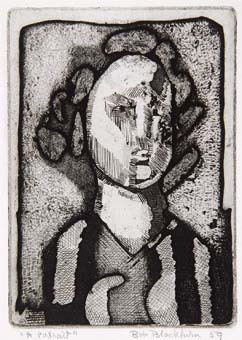 Etching, 5.9 x 4.9 in.